I have absolutely no idea why I decided not to review season 1 of Berserk that dropped last year. 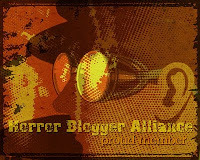 The show is a mix of medieval fantasy mixed in with horror elements and so isn't like it wouldn't fit on my blog. Anyway season 2 has now finished and so a review of that is in order. 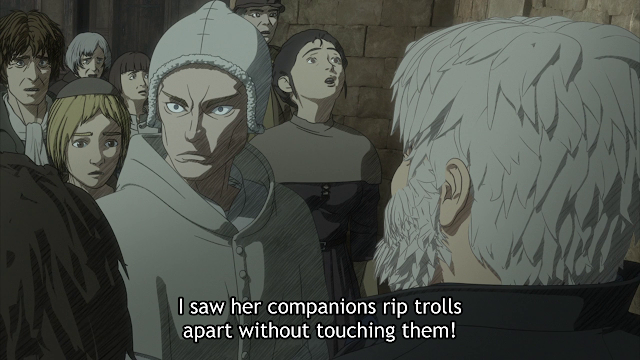 I had a bit of a weird time with Berserk, I watched season 1 (which starts off in the middle of a huge story) with no knowledge of what had happened previously. Then back in February I brought the Berserk video game (Berserk and the Band of the Hawk) which filled me in on the story up to that point and made what seemed like trivial moments really important. 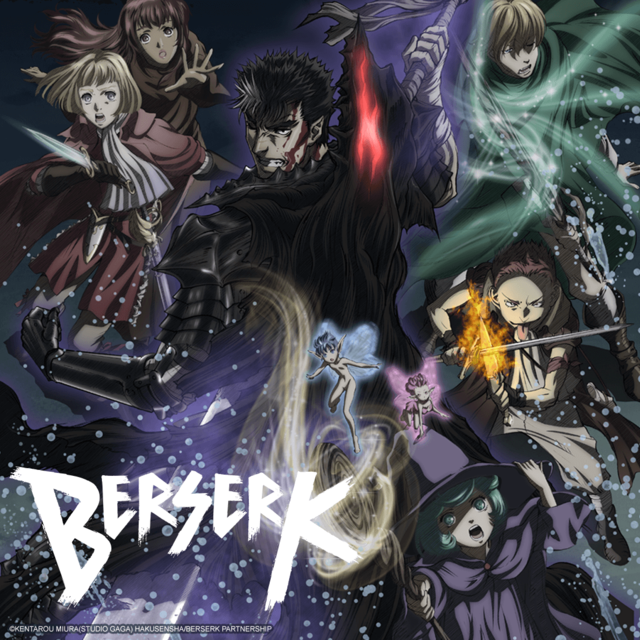 Going in to season 2 I would say having previous Berserk knowledge is essential as this has a lot more to do with main antagonist Griffith (the Antichrist is how a work colleague would describe him). Spoilers for previous events in the time line are bound to follow. Where the first season seemed self contained with a real beginning, middle and end here we instead have a couple of chapters from a larger tale. The main goal the group seek is no closer to being attained at the end of the 12 episodes than it is at the start. There are roughly two different story-lines going on, the first is a battle to save a remote village from murderous trolls, while the second sees the group arriving at a huge city. For reasons unknown I really thought there were only 10 episodes in this season, to make things more confusing episode ten 'A Journey Begins in Flames' really did feel like quite an epic season finale, while episodes eleven 'Proclaimed Omens' and final episode 'City of Humans' just felt like normal ones, especially that last one where literally nothing important seemed to occur at all. Now it is hard to talk about Berserk without mentioning the...unique art style. There has been so much negativity around the lack of animation and the general low quality art used. I know some people (well ones from a Podcast I listen to) who love Berserk but refuse to watch this because of the low quality. For me though the story shines through, while it is often painfully obvious how bad the show looks I think Guts is a great character, and I think what happens here is pretty awesome. For me I am able to look past the sometimes dodgy as anything visuals, and with regards to the inclusion of 3D models it looks much better this time around. Season 1's use of 3D I found really jarring, they stood out in the worst possible way, here they seem more neutral. That doesn't change the fact the art style can change dramatically throughout an episode with still images, faces that don't blink or change expression, and missing frames really standing out in a bad way, and remove the immersion on quite a few occasions. For me I really enjoyed season 2, while it has pacing issues in how it ends, and less of a self contained story as before I just cant help get caught up in the excitement of the story. I love the development with Guts; how his sword is getting imbued with the evil of all the monsters he has killed, how he has to constantly battle to not loose control to the demon trying to possess him. I also enjoyed the interactions of his comrades, how Isidro has an opposite in Schierke, and Puck's interactions with the female fairy. Meanwhile there are a lot of cool battles against monsters. I just will never tire of the clanging noise Guts's sword makes, while it was neat seeing other characters get their own special weapons. There is still plenty of blood and gore, and dark subject matters (a flashback showing how Farnese made Serpico kill his own mother stood out to me). Whatever you think of the show there is going to be a third season and I eagerly look forward to it. 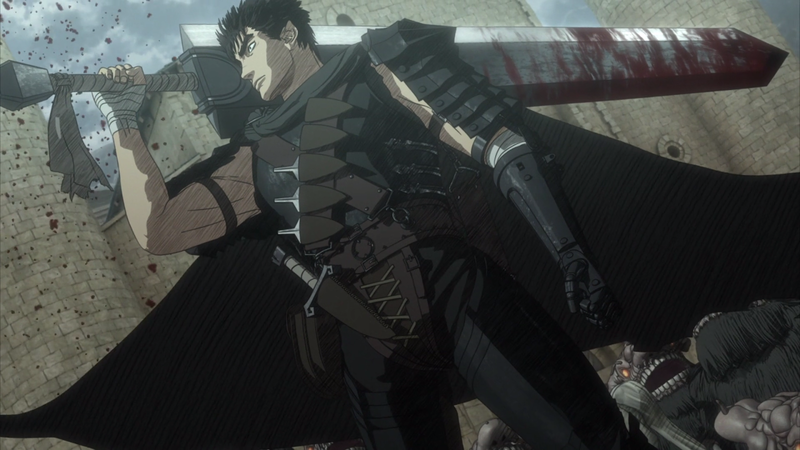 However if the art really is a sticking point for you then that is totally understandable if this is not your thing, there are so many better looking anime's out there, but few main characters as cool as Guts.